The North Korean leader met South Korea’s president, vowing to work towards a formal peace treaty and a nuclear-free peninsula. The latter seems unlikely. But even a diplomatic thaw is good for South Korean business – and will reduce the tail risk of a catastrophic conflict. 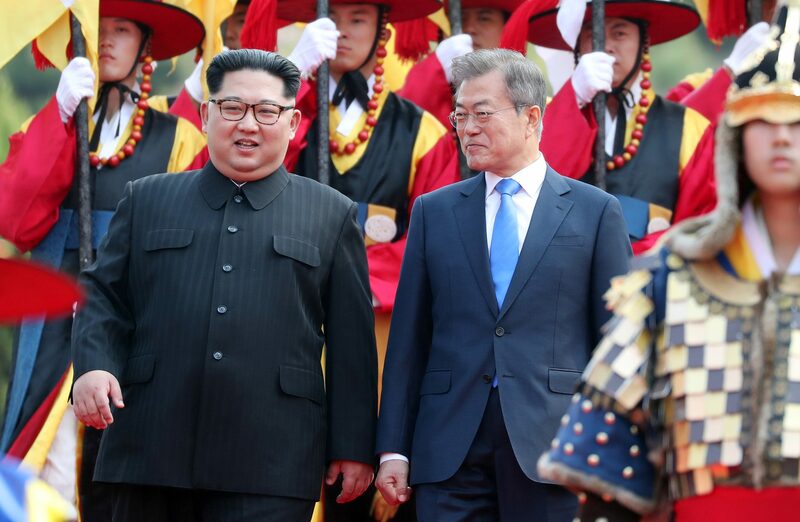 North Korean leader Kim Jong Un and South Korean President Moon Jae-in held the first inter-Korean summit in more than a decade on April 27, and said they would work for the "complete denuclearisation of the Korean peninsula". The leaders said they would work with the United States and China this year to declare an official end to the 1950s Korean War. A joint declaration promised to pursue phased arms reduction, cease hostile acts, transform their fortified border and seek multilateral talks with other countries including the United States.